Are you looking for a used SUV? Have you seen Audi SUVs on the road and they have really caught your eye? Well if so, Pfaff Audi Vaughan recommends that you come into our used car facility at 115 Auto Park Circle in Woodbridge, and check out a used Audi Q7 today! Pfaff Audi Vaughan has recently opened a new used car facility that is around the corner from our dealership. If you are looking for a used Audi Q7, or another type of Audi vehicle, this is the place where you need to be. Read on for more information about the used Audi Q7, and how you can get behind the wheel of one. Our customers can find this used 2015 Audi Q7, or and SUV just like it, at our used car facility at 115 Auto Park Circle in Woodbridge. All Q7 models roll with quattro all-wheel drive and an 8-speed automatic transmission. 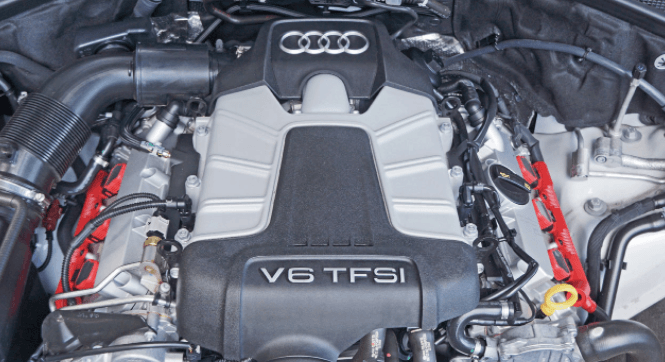 The 3.0T starts with a supercharged 3.0-liter V6 rated at 280 horsepower and 295 lb-ft of torque, while the 3.0T S line Prestige gets an amped-up version of the same engine with 333 hp and 325 lb-ft. The TDI offers a turbo diesel 3.0-liter V6 rated at 240 hp and 406 lb-ft. Towing capacity is 6,600 pounds, a healthy figure that’s a testament to the Q7’s robust architecture. According to the Environmental Protection Agency, the 3.0T slurps up fuel at a rate of 16 miles per gallon in the city and 22 mpg on the highway, but the TDI is much better, returning an exceptional 19 mpg city/28 mpg hwy. The 2015 Audi Q7 features standard stability control, 4-wheel anti-lock brakes and six airbags (front, front-side and full-length side-curtain). Rear-side airbags are optional. The interior of the 2015 Audi Q7 is a nice place in which to spend time. We especially like the driving position, as its cockpit like confines correlate with the Q7’s imposing dimensions, making it feel more like an oversized luxury sedan than a heavy SUV. The gauges are classic Audi: two no-nonsense circles for the tachometer and speedometer, with numerals rendered in Audi’s distinctive font. Audi has made numerous user-friendly improvements to MMI in recent years, to the point that it’s now one of our favorite infotainment systems. The Q7 isn’t a technological force like Audi’s newer models, but it still has plenty of gadgets to keep you occupied. 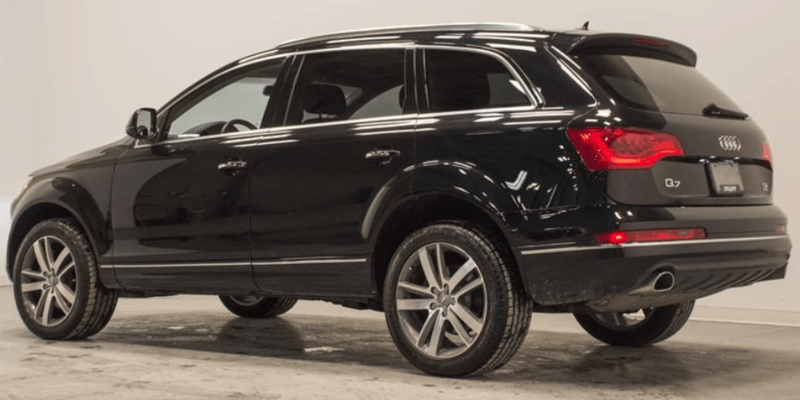 For more information about this 2015 Audi Q7 at our used car facility in Woodbridge, please feel free to continue browsing through our Pfaff Audi Vaughan website. If you are looking for used Audi SUVs, then 115 Auto Park Circle in Woodbridge is the place where you need to be. Click here to find our contact information and to fill out our contact form.